For the record, Rooney Mara didn’t initially believe she could play Tiger Lily in a Peter Pan movie, either. Shortly after it was announced that the star of The Girl With The Dragon Tattoo would play Tiger Lily for director Joe Wright in a Peter Pan prequel, internet outrage (whether real or imagined) erupted on the usual chats and forums. There was even a petition to get Mara replaced. The actress understood… until she met with Wright and learned about his vision. [Joe] showed me all of these images that he had of all of these different cultures around the world, and he explained to me what his vision was for the native village. It made sense to me. They are natives of Neverland, a completely made-up place. Then it made sense to me. 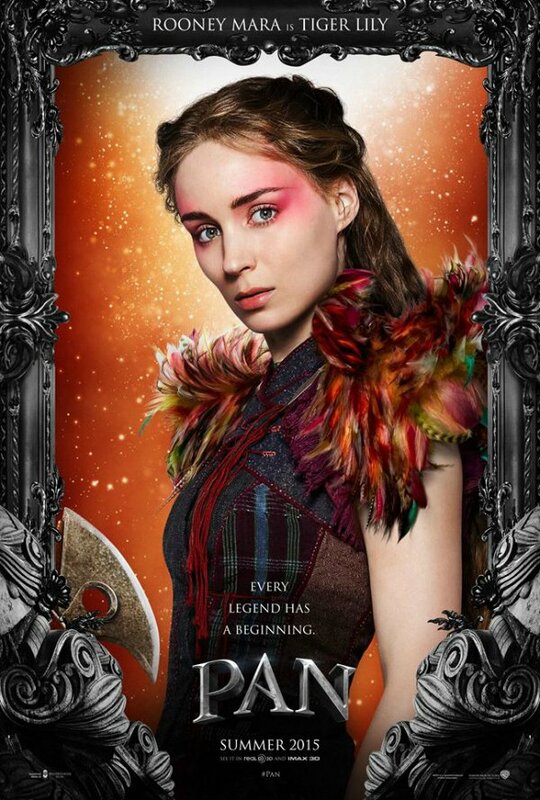 In fact, everything we learned about Tiger Lily, in Pan, focused on her abilities, rather than her race. Wright and producer Sarah Schechter expressed joy at having a strong female role-model character at play in this story of Peter Pan (Levi Miller), Hook (Garrett Hedlund) and the wicked Blackbeard (Hugh Jackman). According to Rooney Mara, her Tiger Lily is a tree-hugger, who is punk. She’s not dirty but a little bit of a hippie. And from everything we saw, she’s a full-blown action star who will fit in beautifully during the summer thrill season at the multiplex. Read our full set visit here. Pan reaches theaters on July 24.